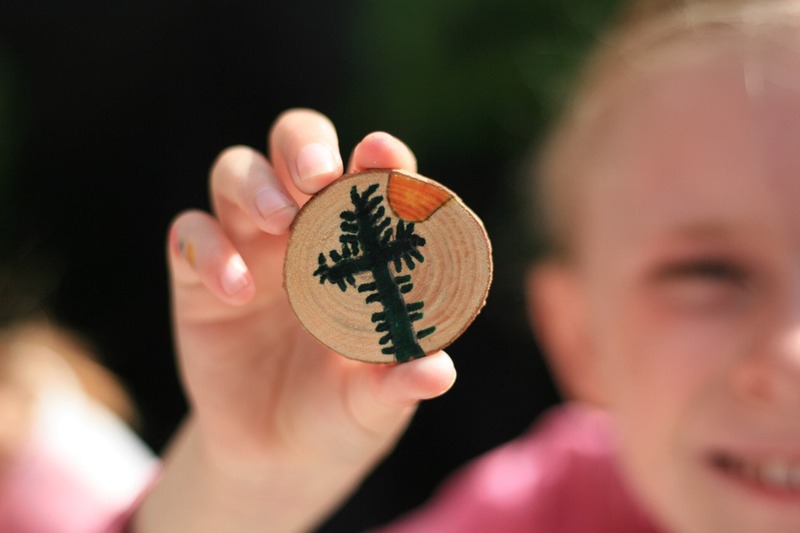 Summer has definitely been a good one this year – I don’t think anyone could have expected the weather we have been having, and Saturday didn’t fail to disappoint. 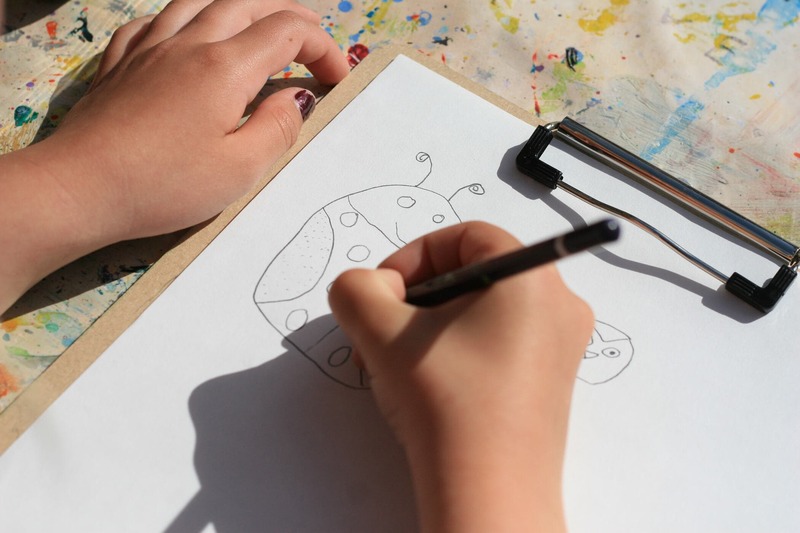 Carrying on working outside in the garden at EXPLORE PLAY CREATE, we used some of the ideas we were drawing last week, and also talked about all sorts of bugs, beasties and creatures you might find in the countryside and garden. 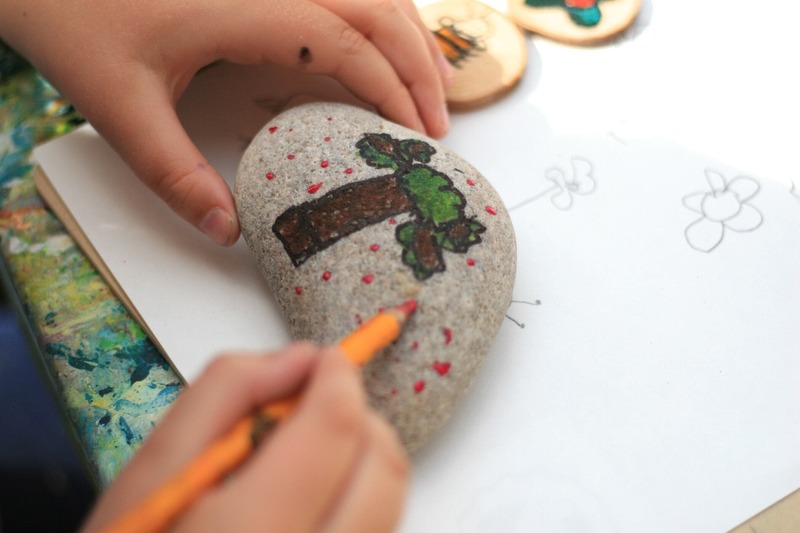 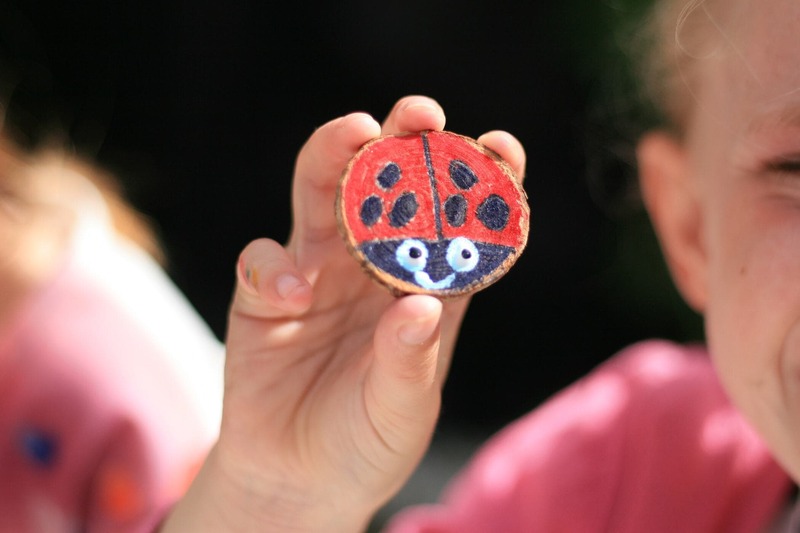 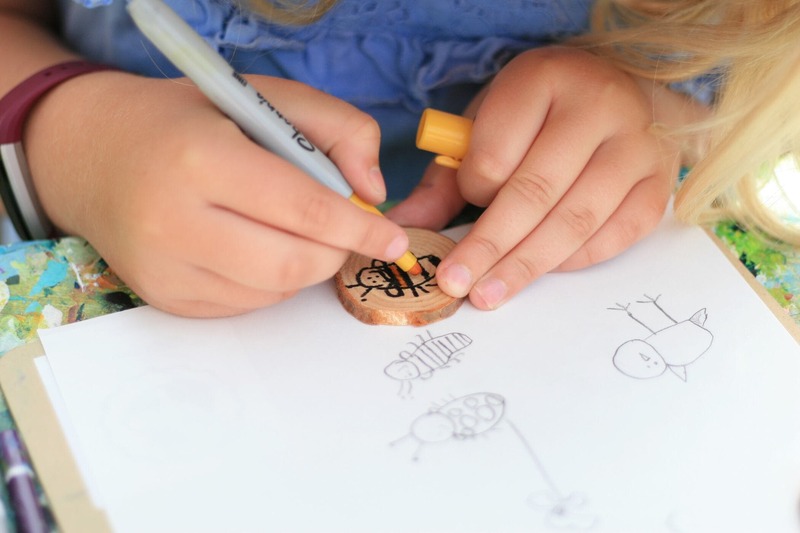 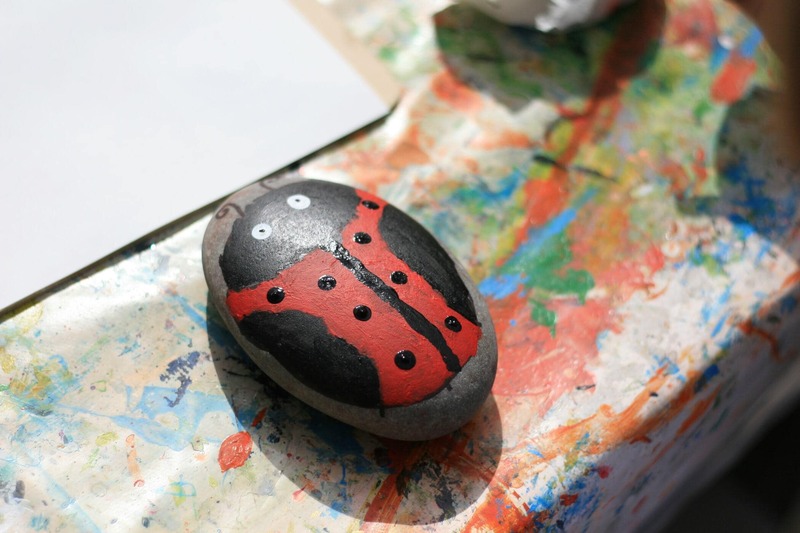 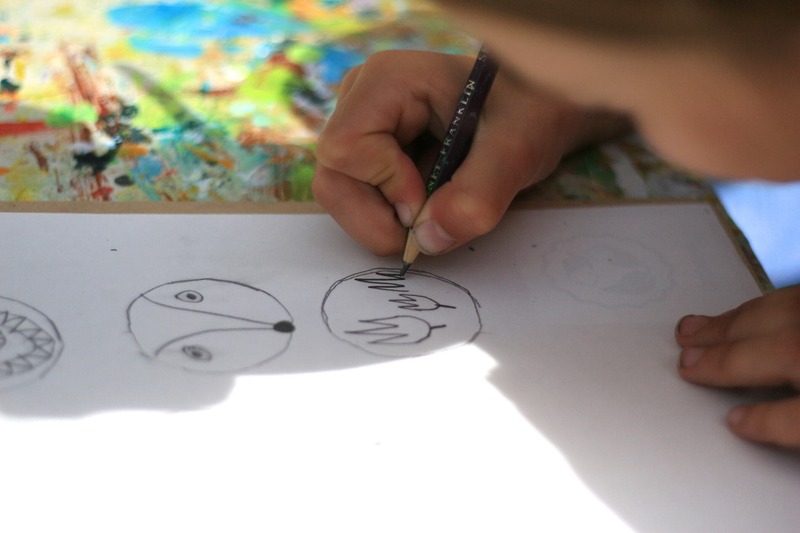 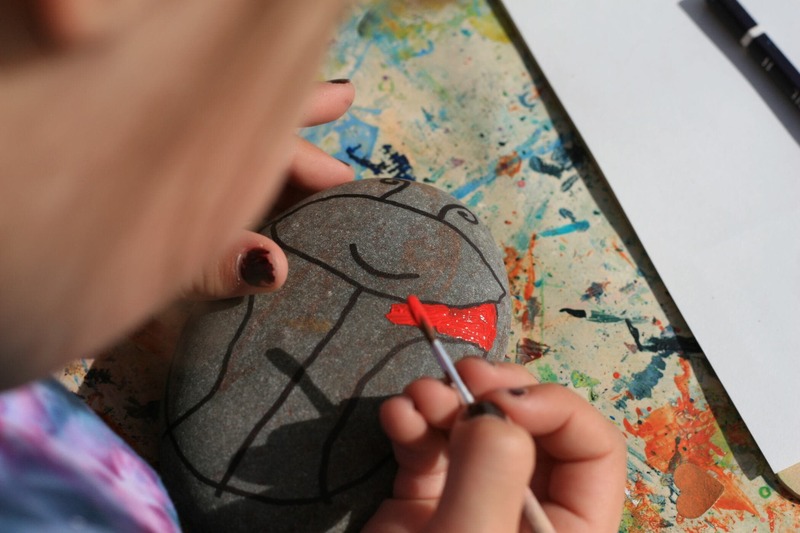 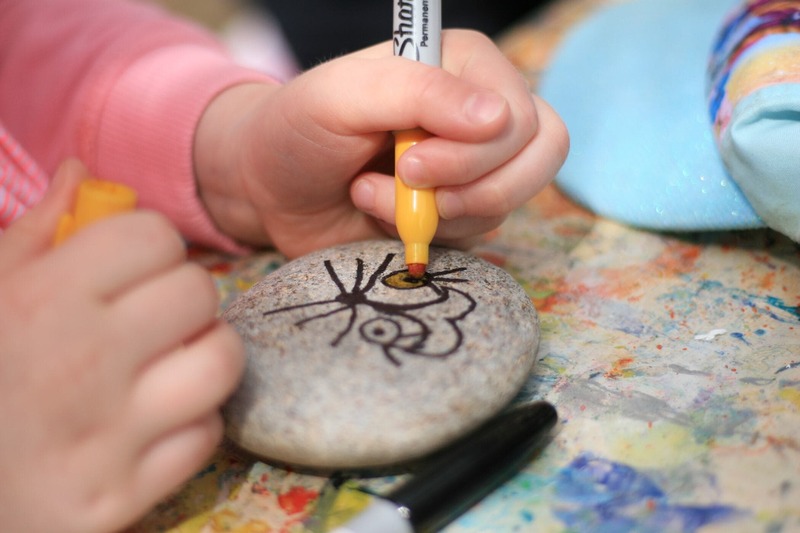 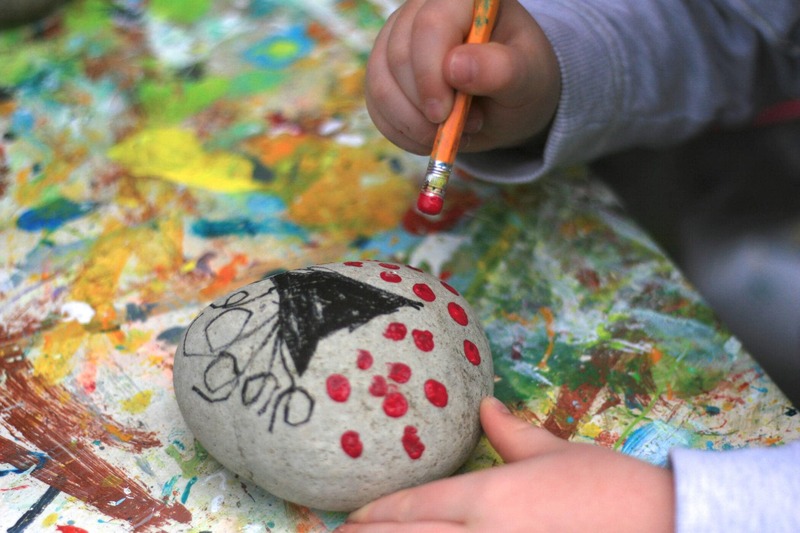 The children were invited to design their own badges and painting stones – first off they drew their ideas on to paper, before moving onto either wooden badges or stones. 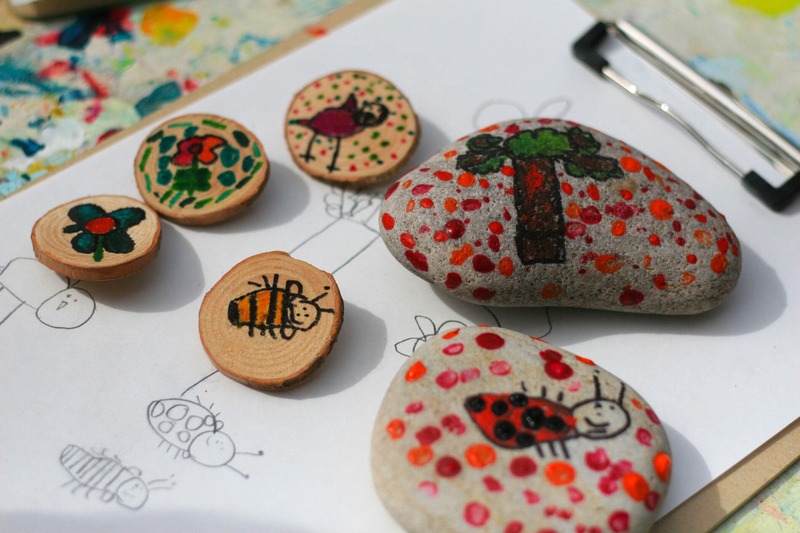 They children were encouraged to use a mixture of Sharpie pens and paint – the Sharpies are great for creating finer detail and the paint is good for adding extra splashes of colour. 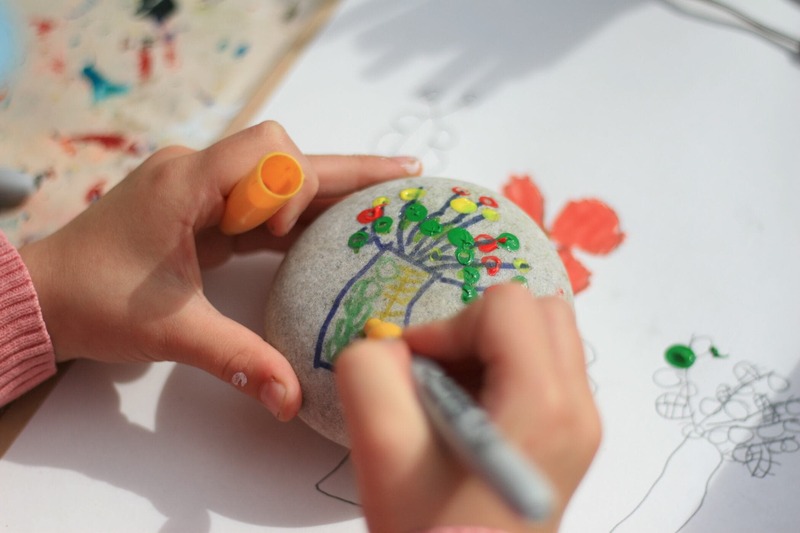 The children were encouraged to make as many designs as they wanted to – it was a fun and cheery end to the Summer Term block.